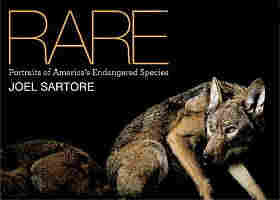 Joel Sartore, Rare: Portraits of America's Endangered Species. (Washington, D.C.: National Geographic Society/Focal Point, 2010) Lincoln resident Sartore is an award winning photographer for National Geographic. For 20 years or more Sartore has been making portraits of individuals of endangered species. This book collects these portraits of "the rarest of the rare." There are familiar Nebraska examples like the Blowout Penstemon and the Salt Creek Tiger Beetle. It is also fun to read about the wolverine who tore apart a one-inch plywood backdrop in minutes, then stepped gently across the surface of a thin and fragile backdrop of seamless paper to get his picture taken. Marianne Beel, Sand in My Shoes: Four Decades of Sandhills Stories and History. (Sioux Falls: Pine Hill Press, 2008) Marianne Beel's first "Sand in My Shoes" column appeared in the North Platte Telegraph in 1977. Her columns tell of life in the Sandhills, and the challenges and rewards of ranching. Robert Beum and Roy Scheele, ed. A Few on the Mini: Poems on the small, neglected and out-of-the-way. Lincoln: The Dolphin Press/Three Sheets Press, 2009. A collection of poems by Robert Beum, John Fandel, Maria Melendez, Rachel Palmer, Judy Ray, Christof Scheele, and A.E. Stallings. Jeff Koterba, Inklings, a memoir. (Boston: Houghton Mifflin Harcourt, 2009) The cartoonist's haunting and generous memoir of growing up in Omaha in a conflicted family with an explosive and eccentric father, and becoming an artist. Go ahead and read all the praise from other Nebraska writers on the back cover (Mary Pipher, Richard Dooling, Jonis Agee, and Timothy Schaffert among others). Don Schauffenberger and Bill Beck, The Only State: A History of Public Power in Nebraska. (Nebraska Public Power District, 2010). Nebraska is a peculiar place. It is the only State in these United States in which every electric utility is publicly owned. Perhaps this is something of a monument to the great George Norris. But above all it is a tribute to the foresight, courage and tenacity of businessmen, utilty managers, politicians and citizens who supported this system and the engineers who built it. This history shows how that system embodies, albeit in a very modern form, the realism and the intense community spirit of Nebraska's first settlements and pioneer generations. Informed by insider Schauffenberger's encyclopedic knowledge of the history of Nebraska's public power and business historian Beck's broad perspectives, this book is a delight to read, and wonderfully illustrated. In a period of American history that probably be remembered mainly for corruption, self-deception, waste, and hubris, this book reminds the reader that in Nebraska, it is sometimes possible to sustain virtues that are dying, or dead, elsewhere. Dan Chaon, Await Your Reply (New York: Ballantine, 2009). Dan Chaon's own website surveys the great reviews this novel about identity and fraud has been getting in the national press. The book is on the American Library Association's list of Notable Books, The Washington Post's list of best fiction of 2009, and Salon's Top Five Fiction of 2009. Some of the novel has a Nebraska setting, out in the wind in the middle of no-where, near a dried up Lake McConaughy: "There was a soundlessness to this place, she thought, though sometimes the wind made the glass in the windowpanes hum..." My gosh, its doing that now! This reader enjoyed the novel, but did not think the profound thoughts about identity that occurred to reviewers in the national press. Mark Griep and Marjorie Mikasen, ReAction! Chemistry in the Movies. (Oxford: Oxford University Press, 2009). Griep is Professor of Chemistry at the University of Nebraska-Lincoln and his wife, Mikasen, is a geometric painter who has received support from the Nebraska Arts Council. With CSI enjoying a boom on television, and young people checking out everything on zombies and vampires they can get their hands on, this book should be a best seller, despite its esoteric subject matter. The film summaries and factual assessments of the science and chemistry that lie behind the films are often fascinating. Read about the real chemistry of a toxin that is supposed to produce a zombie. It looks as if the authors collected every movie that involved chemistry, poison, or a secret formula. Alas, flubber is not real!